Finally the Pepsi Battle of the Bands is wrapping up for the season. Voting lines are open and winner will be announced soon. Last 2 episodes were the best so far this season especially Episode 6 where the theme was old classics from Pakistani film music. Episode 6 was a spectacular. Opened with power packed performance by Meesha Shafi where she covered "Koi sarda hai tay Saray" by Madam Noor Jahan which set the mood for the rest of the episode. Loved Bayaan's rendition of "Tha Yaqeen" originally sung by Naheed Akhter. 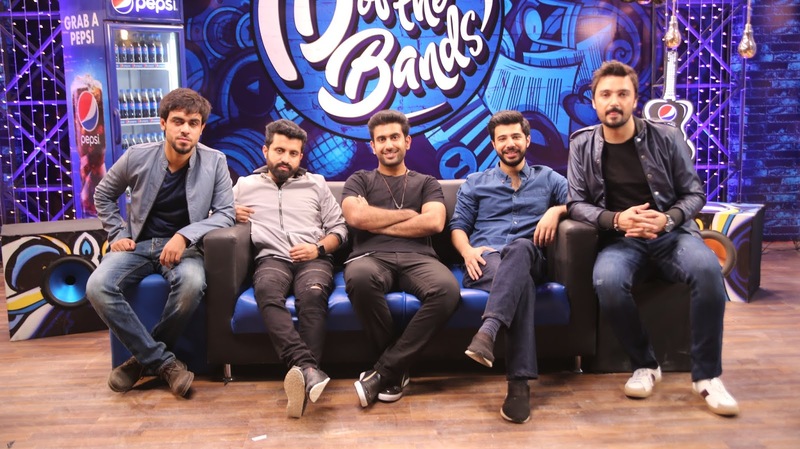 Their lead vocalist with his innocent looks holding a "rabab" (folk musical instrument) singing in an angelic voice can easily make any one fall in love with Bayaan. 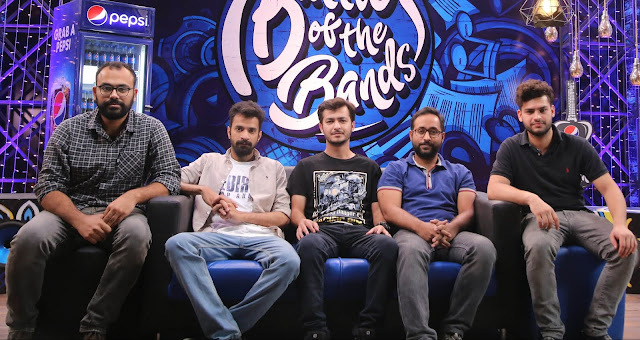 Xarb with the deep soulful vocals of Saeen Ghungroo raised the level of competition with their amazing cover of "Jhanjher the Pawan Jhankar" by Madam Noor Jehan. It was my favourite from the episode. 21 The Band and the atrocious Tamasha got eliminated. While Bayaan was as usual in danger zone. 21 The Band performed "kabhi mein sochta hun" and their only issue was they didn't use the lyrics properly but their cover was very pleasant I would love to hear full song in this version. Tamasha as usual focused more on optics and their vocals plus composition didn't work in both the covers they did. 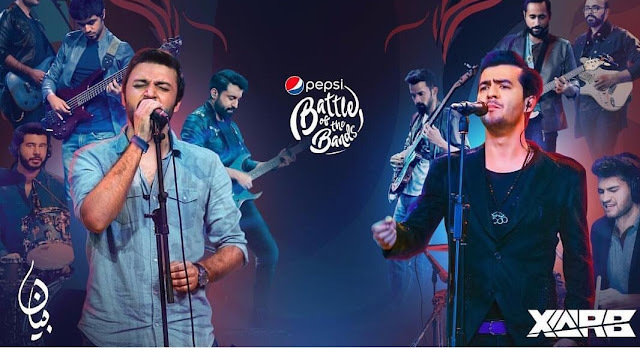 Big final battle happened between the survivors Bayaan who have successfully survived and knocked out opponents while in danger zone in every episode and the band that opened season 3 and since then have always been in the top favorites of the judges, Xarb. Both performed two songs one mashup and one original. One could not have ask for a better finale. There is definitely no clear winner and after the finale performances it's really hard to decide as an audience who to vote for. My favorite of the night was Saeen Ghunghro's impactful vocals singing Abida Parveen's Nara-e-Mastana but Bayaan's original was equally memorable. Bayaan definitely has an edge as they have performed almost 2 songs per episode and have more songs throughout the season compared to any other band. For me I will base my judgement on the full season performance and will cheer for Bayaan for a successful survival journey but will vote for Xarb as their music speaks to me more. So who are you voting for ?